What if Someone Else Claimed Your Child as a Dependent? It seems pretty simple on the surface. You have a child, he lives with you at least some of the time, so he's your dependent at tax time, right? Wrong. Actually, it's not that simple—few tax issues are. You certainly wouldn't be the first or the last parent to claim your child as your dependent only to find out that your ex has already done so. It happens often enough that the Internal Revenue Service has a special set of "tiebreaker" rules to help you determine who actually has the right to a dependency exemption for a child. Here's what you need to know and what you can expect if it happens to you. Does Claiming Your Child Affect Your Tax Situation? First, take a deep breath and a step back. If you're dealing with returns for years up through 2017, yes, claiming your child as a dependent can save you some money. It allowed you to claim a personal exemption for your child worth $4,050 in both 2016 and 2017. That's $4,050 in income that you don't have to pay taxes on. The picture changes in 2018 with the passage of the Tax Cuts and Jobs Act of 2017 (TCJA). The TCJA eliminates personal exemptions for tax years 2018 through 2025. There's a chance that you're fighting to claim something that really does not affect your bottom line. But it's a thin chance. Claiming a dependent does more than just provide you with a personal exemption. It can qualify you for several tax credits and tax deductions. It can affect your filing status. You might meet all the other rules to file your return as head of household—an advantageous status that gives you an increased standard deduction among other things—but you must have a dependent to qualify. If you're eligible for one or more credits or deductions or to file as head of household—and if you have the right to claim your child as your dependent—yes, it's probably worth the time and effort to assert your right to claim your child even if it lands you in a tax audit. But what if you're not eligible for any of these things but your ex, who you suspect of claiming your child, is? In this case, letting her claim your child as a dependent helps her and has no effect on you, at least from 2018 through 2025. You can do this for one year, or you can choose to do it for multiple years on the same form. And you can resubmit the form to revoke the release if you change your mind. Those extra tax dollars in your ex's pocket might benefit your child, but in the end, it's a highly personal decision between parents. Just be sure you know what you're fighting for before you wade in. The IRS can't tell you who claimed your dependent because it's prohibited by Section 6103 of the Internal Revenue Code. The IRS can't disclose information relating to a tax return to anyone other than the filer. That said, you probably have a pretty good idea of who claimed your child. The culprit would have to have the child's name, his Social Security number, and his date of birth. That narrows down the field. But it isn't always the child's other parent who claims him. Maybe your ex and your child are living with another relative and that relative thinks she is entitled to claim him. And sometimes parents can't figure out who claimed the child because it's a case of identity theft. A thief might have stolen your child's Social Security number and is now using that to steal money from the U.S. Treasury. The child lived with her more than he lived with his other parent. Given that there are 365 days in most years, it's usually impossible for a child to live with each parent an exactly equal amount of time. Thanks to this rule, the dependency exemption almost always goes to the custodial parent (the parent who is given legal custody of the child by court order). 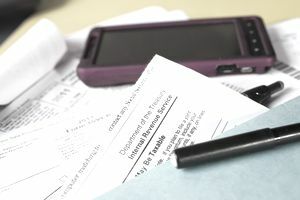 Assuming the child did somehow manage to spend exactly the same amount of time in each parent's home during the tax year—or maybe the parents live together but can't or don't file a joint married return—the tiebreaker rules give the dependency exemption to the parent with the highest adjusted gross income. If someone else is trying to claim your child, they're out of luck. A parent always has the first right to claim her child as a dependent if she is able to do so. The IRS gives a detailed explanation of circumstances under which neither parent might be able to claim their child in Publication 504. It's rare, but it does occasionally happen. If you've determined that you do indeed have the right to claim your child, the next step is to print out your tax return listing the correct dependents and file the return with the IRS. You'll have to mail the return for manual processing because IRS computers are programmed to automatically reject e-filed returns when a dependent has already been claimed on another tax return. Attempting to file electronically will only cause an unnecessary and additional delay in straightening the situation out. The next step is to prepare yourself for an audit over the dependent. The IRS will audit both your tax return and the return of the other person who tried to claim your child. The IRS will ask questions and seek documentation based on the eligibility criteria and the tie-breaker tests. Gather any and all records indicating that your child lived with you and when. Ideally, you have a custody order or agreement detailing exactly when your child resides in your residence. School and medical records can also be helpful, as can any kind of journal, diary, or calendar that cites the days your child lived with you. Having these records will go a long way toward winning the audit and protecting your refund. Remember, as far as the IRS is concerned, and according to its tiebreaker rules, it's all pretty black and white. The more documentation you can gather to show that you meet these criteria, the better. The IRS will give the dependent deduction to whichever taxpayer meets the rules. You can read more about how the audit process is conducted and your rights to appeal a decision in Publication 556, Examination of Returns, Appeal Rights, and Claims for Refund. You should be aware of all your rights as a taxpayer, including your right to seek assistance from the Taxpayer Advocate Service. You may be eligible to receive free or low-cost representation from publicly-funded tax clinics. Note: Tax laws and rates can change periodically. Always consult with a tax professional for the most up-to-date figures, percentages, and rules. This article is not tax advice and is not intended as tax advice. Can You Claim Your Parent As Your Dependent?